The City Law School, under the aegis of the Jean Monnet Chair in EU Law, presents a guest lecture by Carl Baudenbacher, President of the European Free Trade Association (EFTA) Court. The lecture is titled Brexit: Within the Single Market, Without the European Court of Justice? A key point of contention in the Brexit negotiations is the future role of a non-British court of law. The UK government intends to end the supremacy of EU law and any jurisdictional role for the EU Court of Justice with Britain’s withdrawal. The European Commission has argued that the ECJ should retain a role post-Brexit, particularly when it comes to the rights of EU citizens residing in the UK. A related challenge is deciding what authority will resolve disputes under a future trade agreement with the EU, or govern the terms of any transitional arrangements. Possible solutions would be for the UK to join the EEA Agreement on the EFTA side, or to dock to the EFTA Court. Focusing on cases, the speaker will discuss how the EFTA Court works in practice, what its relationship is to the ECJ and to Advocates General, and how the EFTA Court may provide a quick and effective solution to Brexit’s legal conundrum. 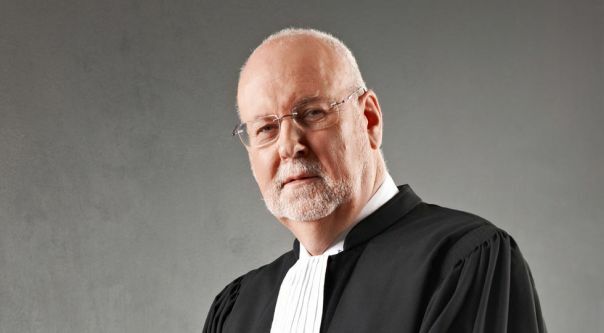 Professor Dr. Dr. h.c. Carl Baudenbacher, a Swiss citizen, has been the Liechtenstein Judge of the EFTA Court since 1995 and its President since 2003. He is a renowned expert in the fields of commercial, economic and competition law and is also the Director of the Competence Center for European and International Law at the University of St Gallen HSG. From 1993 to 2004, he was a Permanent Visiting Professor of the University of Texas School of Law.